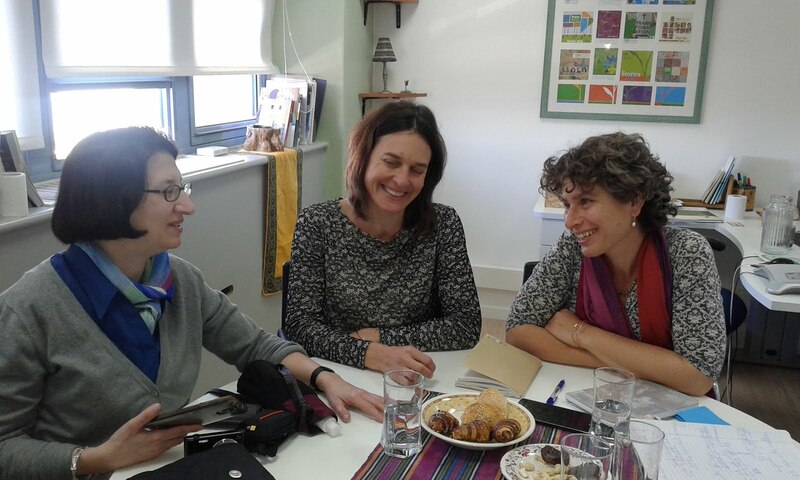 Staffers from Shatil, pictured center and right, told the Hadassah Foundation that a key element of a program it supported is about to receive a prize from Israel's Public Administration Commissioner. Shatil, as part of project to ensure equal pay for female workers in Israel, partnered with Israel's Equal Employment and Opportunity Commission to create an online tool--now on the EEOC' s website--that enables employers to enter pay data anonymously and view any potentially discriminatory patterns. The EEOC worker who was Shatil's partner in creating this tool will be cited for her work next month. Big Win for Center for Women's Justice!